Every now and then a book comes along that you literally can’t put down. 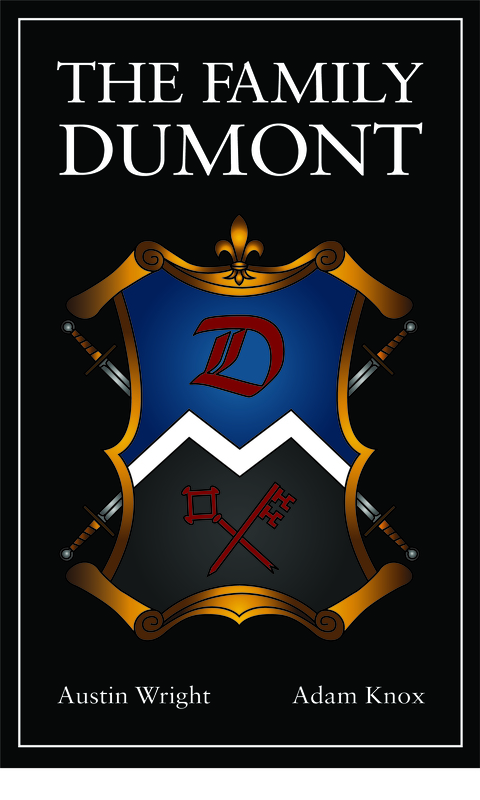 The Family DuMont, written by first-timers Austin Wright and Adam Knox, is one of those books. As you might have guessed, this book is about the DuMont family, but what you won’t gather from its simple title are the brilliant intricacies that this story entails. Intoxicating, exhilarating, and intelligently written, this book has mystery, intrigue, sultry love affairs, and an expert blend of action and depth. This impossible-to-put-down novel is like a mix of the Bourne movies, the Sopranos, and James Bond all wrapped into one! It takes place during modern times, but the tangled history of the DuMonts spans hundreds of years. It reminds us that morality isn’t always black and white, and at the end of the day, when it has really hit the fan, we can count on family. I usually hate it when great action is muddled with sappy love scenes. Much to my surprise, this entire story is approached with such sophistication that I not only didn’t mind those scenes, they kept me as captivated as the amazing action and adventure scenes. I don’t want to give anything away because, let’s be honest, we all hate spoilers. But I will say that this is a beautiful, unique, and mesmerizing surprise that should not be missed.